THE NEXT GENERATION OF BODY CARE: A NEW AND EASY WAY TO MOISTURIZE WHILE IN THE SHOWER. Try the first In-Shower Skin Conditioner from NIVEA. This innovation revolutionizes body care and takes the hassle out of moisturising. It’s easy to use and works in 3 simple steps. Take a shower as usual and use your normal shower product. Rinse off. Apply the new NIVEA Skin Conditioner while still in the shower. The wet skin can directly take up the unique water-activated formula so that it is easily and quickly absorbed. Wait some seconds and rinse off residues shortly. 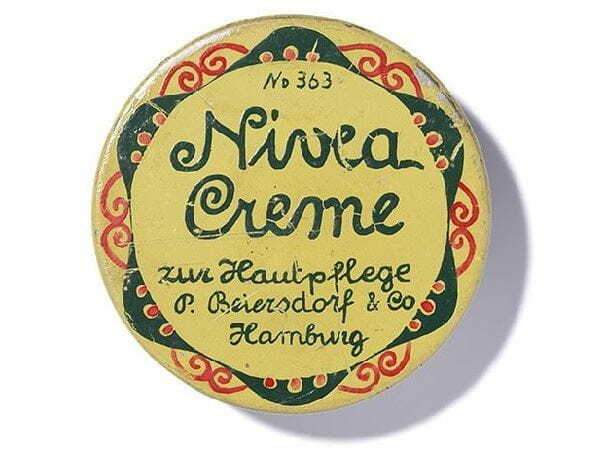 The aim of NIVEA was to develop a pioneering body care product that would appeal to modern day women. And what could be better than an easy, convenient, and pleasant way to moisturize while still in the shower? See what makes the product so unique and how it fulfills our consumers' needs. Always in a hurry in the morning and don't find the time to put on some body lotion? Now there is a solution. The first In-Shower Skin Conditioner from NIVEA. Apply it while in the shower. Rinse off, dry yourself, and get dressed immediately. Your skin feels great whithout any stickiness. 1. WHAT IS NIVEA IN-SHOWER SKIN CONDITIONER? NIVEA In-Shower Skin Conditioner is a hassle-free way to moisturize skin while in the shower. Designed to be used after bar soaps and shower gels, it leaves skin feeling hydrated and silky soft – even after towel drying. The NIVEA In-Shower Skin Conditioner range includes NIVEA In-Shower Intensive Skin Conditioner, formulated for dry skin, NIVEA In-Shower Whitening Skin Conditioner, formulated for dull skin and NIVEA In-Shower Body Lotion, formulated for normal skin. 2. HOW DO I USE NIVEA IN-SHOWER SKIN CONDITIONER? 1. Cleanse with bar soap and shower gel as usual and rinse off. 2. Apply NIVEA In-shower Skin Conditioner. 3. Rinse off NIVEA In-shower Skin Conditioner. 3. IS IT NECESSARY TO LEAVE NIVEA IN-SHOWER SKIN CONDITIONER ON FOR SOME TIME BEFORE RINSING OFF? No, you can apply NIVEA In-Shower Skin Conditioner on wet skin and then rinse off immediately. 4. HOW CAN NIVEA IN-SHOWER SKIN CONDITIONER BE EFFECTIVE IF IT IS IMMEDIATELY RINSED OFF? NIVEA In-Shower Skin Conditioner is water-activated and is immediately absorbed by the skin, leaving a nourishing and caring film without a sticky feeling. 5. CAN I USE NIVEA IN-SHOWER SKIN CONDITIONER ON DRY (I.E. NOT WET) SKIN? No. The NIVEA In-Shower Skin Conditioner formula works with wet skin and is designed to be rinsed off after application to achieve the optimum silky soft skin feeling. You need to rinse off any excess product to avoid unpleasant residues on your skin. 6. DO I NEED TO APPLY A NORMAL BODY LOTION OR MOISTURISER AFTER USING NIVEA IN-SHOWER SKIN CONDITIONER? No, NIVEA In-Shower Skin Conditioner moisturises skin while in the shower so you are fully hydrated as soon as you rinse it off and towel dry. 7. DOES NIVEA IN-SHOWER SKIN CONDITIONER REPLACE THE NEED FOR MY SHOWER GEL? No, NIVEA In-Shower Skin Conditioner is not a 2-in-1 product and doesn’t contain any cleansing properties. You should cleanse with shower gel or bar soap, as usual, rinse off and then follow with NIVEA In-Shower Skin Conditioner to keep your skin fully hydrated and feeling silky soft. 8. ARE RESIDUES FROM NIVEA IN-SHOWER SKIN CONDITIONER HARMFUL FOR THE ENVIRONMENT? The ingredients in NIVEA In-Shower Skin Conditioner are not harmful to the environment and have been certified biodegradable by the specialist institute, FRESENIUS. 9. IN THE SHOWER MARKET, THERE ARE EXISTING SHOWER GELS THAT FOCUS ON EXTRA MOISTURISATION. HOW DOES NIVEA IN-SHOWER SKIN CONDITIONER COMPARE? Based on scientific tests, NIVEA’s In-Shower Skin Conditioner delivers more moisture to the skin than shower gels with moisturising benefits. 10. WHY WOULD I WANT TO MOISTURISE MY SKIN WHILE IN THE SHOWER? We know that people don’t have a lot of time and often need quick-fix solutions – particularly when it comes to their beauty routines. NIVEA developed an innovation that makes caring for the skin hassle-free and equally pleasureable with NIVEA In-Shower Skin Conditioner. It can fit into your shower routine and there’s no need to wait around for it to dry after applying. 11. WHAT MOISTURISING PROPERTIES DOES NIVEA IN-SHOWER SKIN CONDITIONER CONTAIN? The key moisturising ingredient in NIVEA In-Shower Skin Conditioner is glycerin, a well-known skincare emulsion which prevents the skin from drying out. 12. HOW MUCH NIVEA IN-SHOWER SKIN CONDITIONER DO I NEED TO USE FOR OPTIMUM CARE? You need to use the appropriate amount to cover whole body, like a normal body lotion. 13. WHAT’S THE DIFFERENCE BETWEEN A NORMAL BODY LOTION, A SHOWER GEL AND NIVEA IN-SHOWER SKIN CONDITIONER? The composition of the ingredients is different in each product. NIVEA In-Shower Skin Conditioner contains more caring oils and needs to be activated by water so it absorbs immediately into your skin with a non-sticky feeling. Normal body lotion has caring oils with the same ingredients as NIVEA In-Shower Skin Conditioner however, it doesn't need water to be activated and is meant to be a leave-on product. Shower gels, on the other hand, contain ingredients that are primarily meant for cleansing and removing dirt on the skin. It is water-actived and meant to be rinsed off. 14. WILL THE SHOWER FLOOR OR BATH TUB BE SLIPPERY AFTER USING NIVEA IN-SHOWER SKIN CONDITIONER? Just like using shampoo or hair conditioner under the shower, there could be a light slippery residue after you have rinsed the product off. Ensure you rinse away any remaining product from the shower floor or bath tub to prevent slipping. 15. IS THE SKIN COMPATIBILITY OF NIVEA IN-SHOWER SKIN CONDITIONER DERMATOLOGICALLY APPROVED?